Welcome to HomeBrewSaké.com! Thank you for visiting us. Brewing Sake: Release the Toji Within; which contains much of the brewing information from this site is available at Amazon. HomeBrewSaké.com is and has been an experiment to see if there is enough demand in the Saké home brewing community to support this resource. We offer all the Saké ingredients necessary to brew the highest quality Saké. 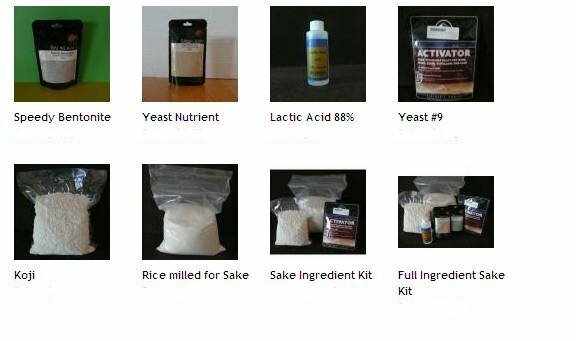 Saké ingredient kits to take the guesswork out are a key aspect of this. As time goes on I hope to add additional products that will benefit the community. Please send me any ideas or requests you have.